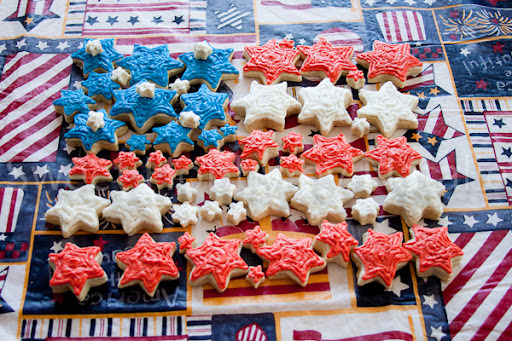 Sweet Shop Natalie: Happy 4th! Quickly made some star cookies for a my sister's annual water fight/BBQ. Trying out a different cookie recipe and used good old butter-cream frosting! Happy 4th of July to all and don't light anything on fire!